Set in the beauty of the Pacific Northwest, the legend of Swanson Lake is kept by one man, Bill ( Ernest Borgnine). And he's not about to surrender it! 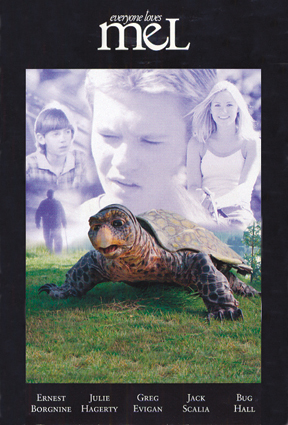 When Bill°s two grandsons come for a summer visit, they stumble into a big-time adventure with a giant turtle named Mel. When Bill's neighbor Bailey (Jack Scalia) tries to kidnap Mel in order to feature him in a proposed theme park, the grandsons plot to hide Mel from the neighbor. Then the fun begins, and Mel becomes an unlikely hero!